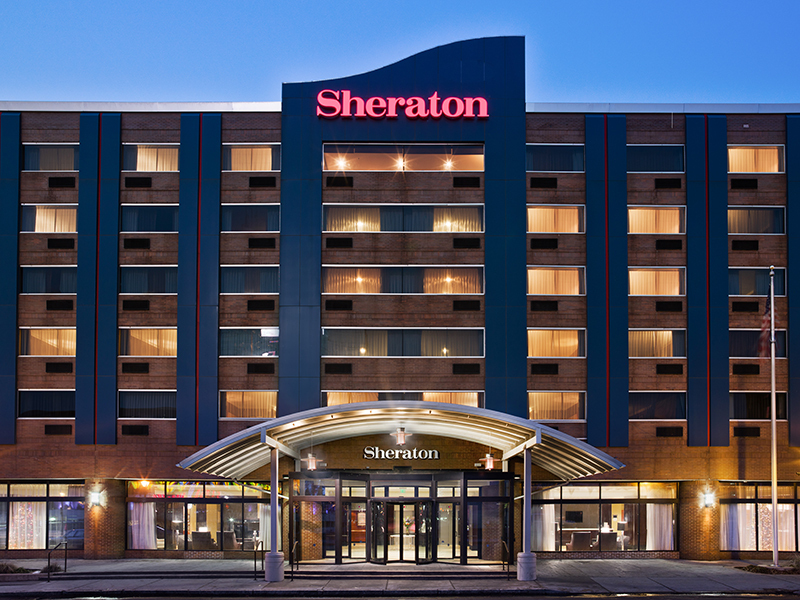 Sheraton Niagara Falls offers 392 guestrooms and everything you need for a perfect stay. 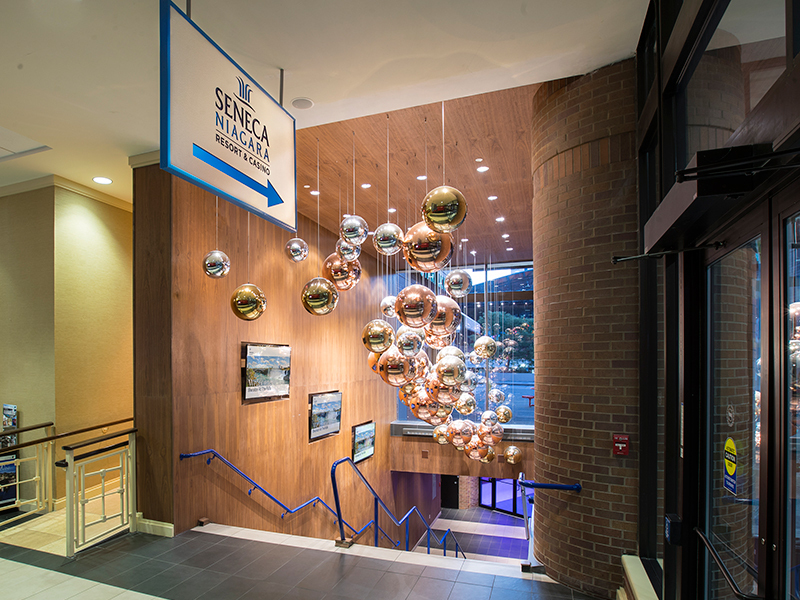 The Sheraton is directly connected to the Seneca Niagara Resort & Casino, adjacent to the Conference & Event Center Niagara Falls and just footsteps away from the world famous Niagara Falls. 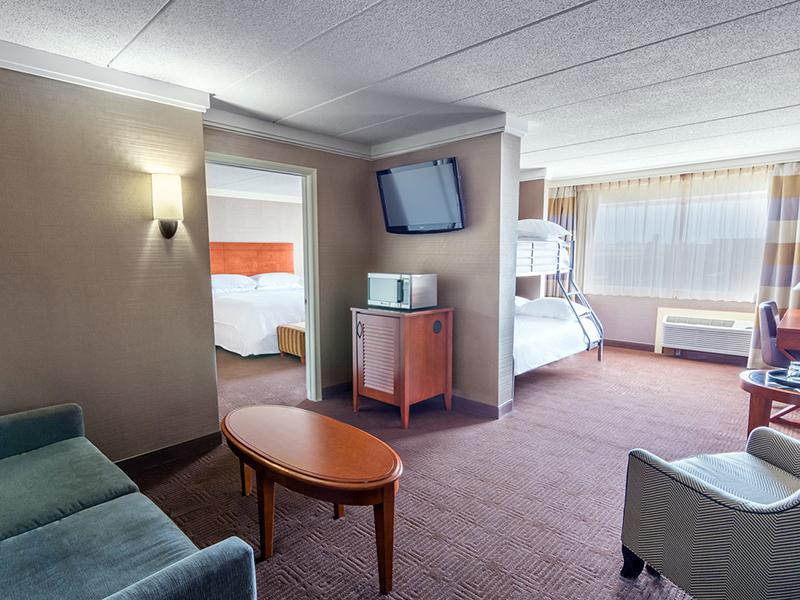 Have an exciting family getaway while you experience The Reef Beach Club, At The Falls Arcade and one of our spacious Family Suites that accommodate up to nine guests. Or enjoy a romantic getaway by relaxing in our hot tubs and be pampered by the indulgence of an in-room dining experience. We also offer a 24-hour fitness center, business center, TGI Fridays, Rainforest Cafe and Starbucks on-site for your convenience.